Michael Preysman founded Everlane in November 2011 with the goal of overhauling the typical retail experience. Having quit his job at a venture-capital firm in San Francisco, Preysman wanted to create an “exciting, collaborative and experimental effort” that cut through the clutter to provide luxury apparel without the exorbitant markup. The online-only collection, like its website, is minimalist, orderly, and thoughtfully curated. Instead of bombarding its customers with options, Everlane offers only the most basic of basics—one style of cashmere sweater, a single silk blouse, a men’s button-down shirt, a merino-wool scarf—preferring to focus on quality over quantity. Ecouterre recently spoke with Preysman, a self-proclaimed perfectionist, to discover how Everlane’s unconventional business model is subverting an entire industry. We have no physical stores, no middlemen taking their cut, and no crazy brand markups. Instead, we create our own luxury essentials at the same factories as other designer brands and sell them for truly disruptive prices. We’d like to believe that there’s a larger shift happening towards quality over quantity. How are people responding to you selling fewer yet longer-lasting products? Do they get it? It feels like it’s resonating. We’d like to believe that there’s a larger shift happening towards quality over quantity. It’s definitely a guiding principle for us. How did your customers react on Black Friday when you blacked out the site and postponed sales till the following day? In general, the response was great. We honestly didn’t know what to expect and we were floored by all the positive feedback. Of course, there were a few vocal haters, too, but that’s par for the course when you make controversial choices. Are you ethically manufacturing and sourcing all your fabrics? Working on it? We work with extremely reputable factories that produce for well-known luxury brands. We’ve visited many of them in person and don’t work with overseas factories that can’t prove their labor-compliancy standards. But we’re always looking to know more and do better. We don’t work with overseas factories that can’t prove their labor-compliancy standards. Can you talk about your transparent retail model? The world has moved to a place where large branding campaigns obfuscate the quality and story behind a product. Our idea behind transparent retail is that people want to know what it takes to make their products, the true quality behind them and where they’re made. We share all this information with our customers and create infographics to give the detail of our process unlike any other brand has before. Sometimes it’s a bit scary, but it’s in our DNA. How do you find the best factories to make your wares? Finding a great factory takes a huge amount of energy and time; it’s also incredibly fun. We find a product we love and start with the question: “In what factory was this made?” From there, it’s a spiral of calling, searching, driving to factories, and visiting countries. Surprisingly, Google has a ton of information. Somebody out there knows the factory and our job is to figure out who and how to get in contact with them. Oftentimes, this leads us back to the U.S. but quite often we end up in Scotland (for cashmere scarves) or China (a country with a deep history in silk). It’s a global economy and our only focus is on finding the best factories around the world. Are you designing as a team? I remember reading somewhere that it took you a while to pick just the right collar on your new silk shirt. Team designing? Not quite. It’s very collaborative but it’s not a democracy. Our lead designer makes the final calls, but we enjoy getting input from people both inside and outside the company. Many of your pieces are manufactured in Los Angeles. Do you consider Everlane a sustainable brand? We design our products in hopes that they encourage people to buy less, not more. Every product serves a purpose. And we never make more than one product for each purpose. Great brand with a great business model. I already bought a product from them - a supple leather belt that will last me for a long time. I'm glad I now know that they're business uses fair labor and sustainable practices too - thanks for the interview! Glad to read this post. I love the product and the concept. I reached out to Everlane to find out more about their manufacturing practices 6 mts ago, but they never did reply. I have purchased a few pieces from Everlane, I think the quality is really nice, and I like their minimalist approach. However, I think that their message implies that when you buy a designer garment, you are getting grossly overcharged. I work in fashion, and there is a lot that goes into making a designer garment that most people don't consider. I think Everlane is hiding this fact, and making it seem like all clothes, mass and designer should be at H&M like prices. They sell directly, which essentially means they are selling at close to cost, or wholesale, which is impossible for most retailers unless they are doing their own production and/or producing in Asia where labor costs are cheaper. There are a lot of hands that touch a piece of designer clothing before it makes it into a store, and a lot of people that need to get paid for and SHOULD get paid for their work. The fabric supplier needs to get paid, the pattern-maker of the garment needs to get paid, the designer/design team need to get paid, the factory that cuts and sews the garment, the retail buyer and store staff. You are supporting the jobs of so many people, that are getting paid fairly, when you buy a piece of designer clothing. It would be nice if Everlane shed light on this as well, that they are just an alternative, and that designer clothing is most often worthy of its price tag. Michael Preysman founded Everlane in November 2011 with the goal of overhauling the typical retail experience. Having quit his job at a venture-capital firm in San Francisco, Preysman wanted to create an "exciting, collaborative and experimental effort" that cut through the clutter to provide luxury apparel without the exorbitant markup. The online-only collection, like its website, is minimalist, orderly, and thoughtfully curated. 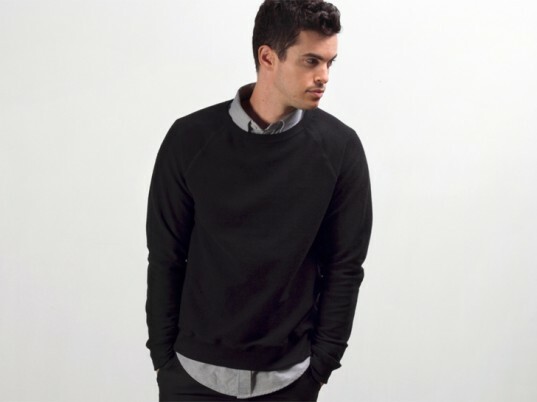 Instead of bombarding its customers with options, Everlane offers only the most basic of basics�one style of cashmere sweater, a single silk blouse, a men's button-down shirt, a merino-wool scarf�preferring to focus on quality over quantity. Ecouterre recently spoke with Preysman, a self-proclaimed perfectionist, to discover how Everlane's unconventional business model is subverting an entire industry.